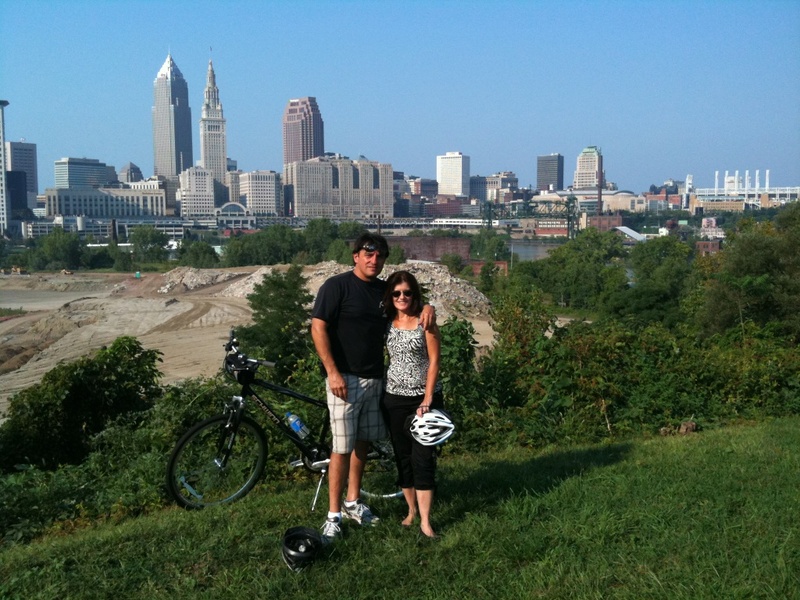 Bob's Bike Tours have been providing guided bicycle tours of Downtown Cleveland, Ohio City, Tremont, and surrounding areas since 2011. All tours include bicycle, helmet, water and FUN!!! Our tours are tailored to be informative and casual. 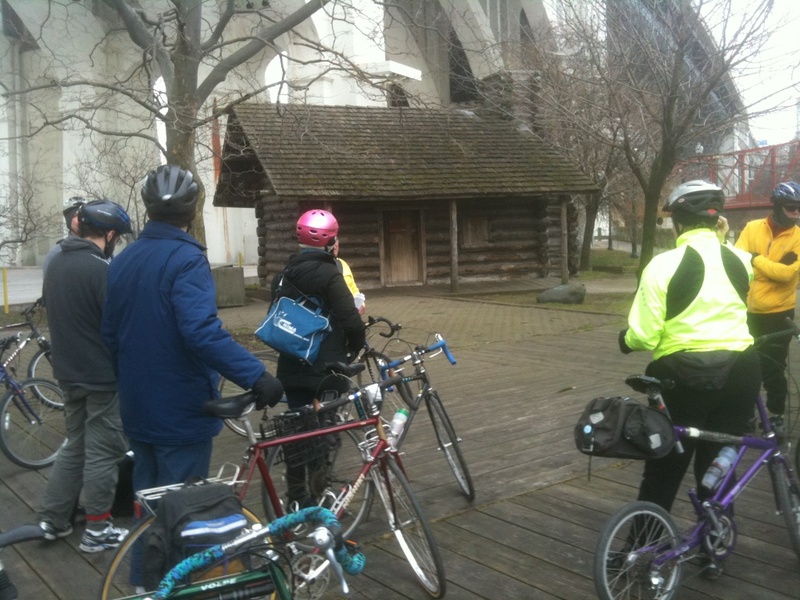 There is no better way to explore Cleveland's Unique Rich History than on two wheels. COME AND JOIN THE FUN TODAY!!! 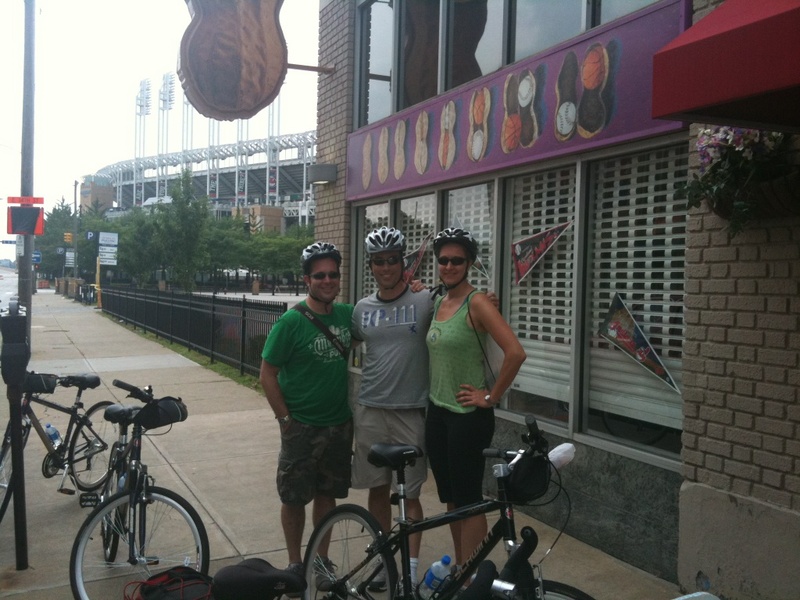 Bob's Bike Tour of Downtown Cleveland was awesome! We booked the tour on our first evening in town and was an excellent way to introduce us to our new surroundings and get acquainted with the area. Not only did Bob point out local landmarks but he also make recommendations on eateries. It was a very personal tour and one that we'll recommend to our friends. Cleveland does indeed ROCK!! My husband and I recently took a day trip to Cleveland. I purchased a bike tour deal on line and it was a fantastic day. Bob was kind, careful and extremely wise about the Cleveland area. I learned some much that afternoon and gained a new appreciation for the city of Cleveland. I would highly recommend Bob's Bike Tours and hope to visit Cleveland and Bob in the near future. Thank you so much, we had a blast! We couldn't have picked a more beautiful night, clear skies and low humidity, and to ride over the bridge with the sun setting on one side and the moon beaming on the other was a sight to behold. I learned so much about the city, and I came away revitalized, I could feel the energy down there with all the new construction, and all the outdoor eateries filled with patrons, Cleveland has so much to offer, our theater district, the lakefront, Ohio City and the view over there from our "spot" was a treasure. I have recommended it to people, but I tell them I'm not giving away any details, they need to experience it for themselves! I called Bob on a whim and it was the best thing I did. For close to 3 hrs, Bob and I biked around the city and the neighborhoods looking at houses with the history past and houses with a history yet formed. 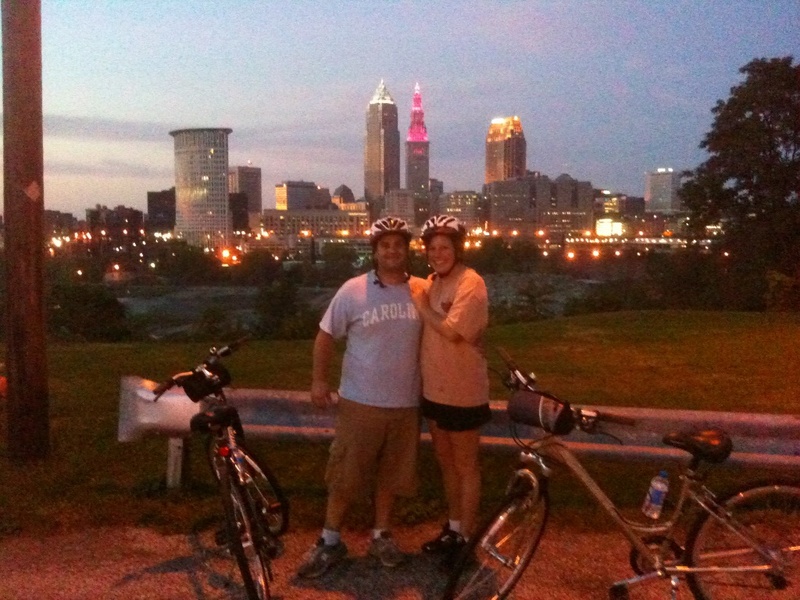 We biked in parts of the city I didn't know existed, and we talked about Cleveland's Illustrious past. Besides seeing John Lennon and George Harrison's guitars at the Hall of Fame, Bob's Bike Tours helped make my trip. I highly recommend it to everyone. I thought the tour was great! It was fun riding around to the different neighborhoods. You are obviously very knowledgeable about your home town, and it was fun to get the "insider" info. Keep up the great attitude and spirit you bring the this tour. I really enjoyed your enthusiasm and positive spirit in favor of Cleveland. Great way to see the city from a different prospective. Enjoyed the stories about the places we were seeing. Nice bikes and helmets, appreciated the water and Gatorade. "Bob leads a great tour and helps you to really experience Cleveland in ways you wouldn't on other tours!" It was definitely the highlight of our trip.